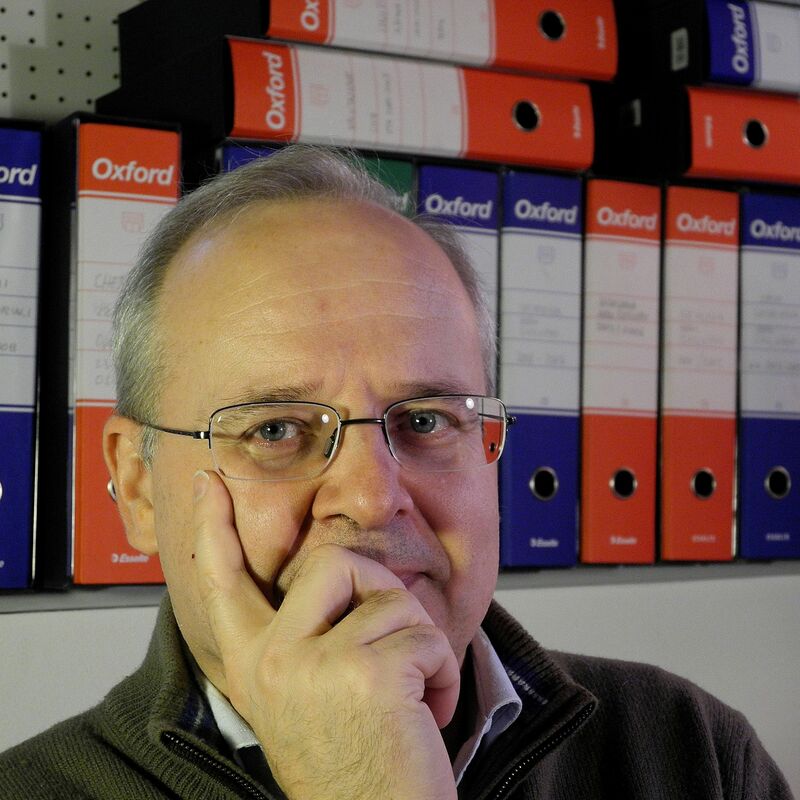 Michele Rostan è professore ordinario di sociologia dei processi economici e del lavoro ed è direttore del Centro interdipartimentale di studi e ricerche sui sistemi di istruzione superiore (CIRSIS). Dopo aver conseguito la laurea in economia e il dottorato di ricerca in sociologia, è stato borsista post-dottorato, assegnista di ricerca e ricercatore presso il Dipartimento di Studi Politici e Sociali dell’Università di Pavia. È membro del Collegio del dottorato di ricerca in sociologia con sede presso l’Università di Milano, del Consiglio scientifico di UNIRES, Italian Centre for Research on Universities and Higher Education Systems Italian, dell’Editorial Advisory Board delle riviste Higher Education, The International Journal of Higher Education Research,e Studies in Higher Education, del Consortium of Higher Education Researchers (CHER) e di AIS-ELO, la sezione di Economia, lavoro, organizzazione dell’Associazione Italiana di Sociologia. Ha insegnato o avuto incarichi di insegnamento presso la Facoltà di Scienze politiche e la Facoltà di Medicina dell’Università di Pavia, l’International Master in Cooperation and Development dell’Istituto Universitario di Studi Superiori di Pavia, la Facoltà di Scienze della comunicazione dell’Università di Modena e Reggio Emilia e la Facoltà Valdese di Teologia di Roma. The Internationalisation of the Academy: Changes, Realities and Prospects, Dortrecht: Springer (con F. Huang, M. Finkelstein, Eds.). La professione accademica in Italia. Aspetti, problemi e confronti nel contesto europeo, Milano, LED Edizioni (a cura di). Questioning Excellence in Higher Education Policies, Experiences and Challenges in National and Comparative Perspective, Rotterdam, Sense Publisher (with M. Vaira, Eds.). Torri d'avorio in frantumi? Dove vanno le università europee, Bologna, Il Mulino (con R. Moscati e M. Regini, a cura di). Rostan, M., Finkelstein, M. and F. Huang, Concepts and Methods. In F. Huang, M. Finkelstein, & M. Rostan (Eds. ), The Internationalization of the Academy: Changes, Realities and Prospects. Dordrecht: Springer. Rostan, M., Finkelstein, M. and F. Huang, A Profile of the CAP Countries and Aggregated Internationalization of Academic Activities in 2007-2008. In F. Huang, M. Finkelstein, & M. Rostan (Eds. ), The Internationalization of the Academy: Changes, Realities and Prospects. Dordrecht: Springer. Rostan, M., & Höhle, E. A., The International Mobility of Faculty. In F. Huang, M. Finkelstein, & M. Rostan (Eds. ), The Internationalisation of the Academy: Changes, Realities and Prospects. Dordrecht: Springer. Rostan, M., Metcalfe, A. S., & Ceravolo, F. A., The Internationalisation of Research. In F. Huang, M. Finkelstein, & M. Rostan (Eds. ), The Internationalisation of the Academy: Changes, Realities and Prospects. Dordrecht: Springer. Rostan, M., Huang, F. and M. Finkelstein, The Internationalization of the Academy: Findings, Open Questions, and Implications. In In F. Huang, M. Finkelstein, & M. Rostan (Eds. ), The Internationalization of the Academy: Changes, Realities and Prospects. Dordrecht: Springer. Rostan, M. and F.A. Ceravolo, Crossing the Borders. Investigating Social and Economic Forces Shaping International Academic Mobility. In Brankovic, J., Klemencic, M., Lazetic, P. and P. Zgaga, Global Challenges, Local Responses in Higher Education. The contemporary issues in national and comparative perspective. Rotterdam-Taipei: Sense Publishers. Rostan, M., "Teaching and Research at Italian Universities: Continuities and Changes". In Shin, J.C., Arimoto, A., Cummings, W.K., & Teichler, U. (Eds. ), Teaching and Research in Contemporary Higher Education. Systems, Activities and Rewards,Dordrecht: Springer (pp. 89-112). "Beyond Physical Mobility: Other Ways to Internationalise the Academic Profession", in Vukasovic, M., Maassen, P., Stensaker, B., Nerland, M., Pinheiro, R. and A. Vabø (Eds. ), Effects of Higher Education Reforms: Change Dynamics, Rotterdam, Sense Publishers, pp. 241-260. “Gli accademici e la ricerca”, in Rostan, M. (a cura di), La professione accademica in Italia Aspetti, problemi e confronti nel contesto europeo, Milano, LED Edizioni, pp. 107-130. “Conclusioni”, in La professione accademica in Italia Aspetti, problemi e confronti nel contesto europeo (a cura di M. Rostan), Milano, LED Edizioni, pp. 161-171 (con Cavalli, A., Moscati, R., Trivellato, P., Triventi, M. e M. Vaira). “English as “Lingua Franca” and the Internationalization of Academe”, International Higher Education, Vol. 63, pp. 11-13. “Questioning Excellence in Higher Education: An Introduction”, in Rostan, M. e M. Vaira (Eds. ), Questioning Excellence in Higher Education Policies, Experiences and Challenges in National and Comparative Perspective, Rotterdam, Sense Publisher, pp. vii-xvi (with M. Vaira). “Structuring the Field of Excellence. A Comparative View on Policies, Actors, Interests and Conflicts in Four European Countries”, in Rostan, M. e M. Vaira (Eds. ), Questioning Excellence in Higher Education Policies, Experiences and Challenges in National and Comparative Perspective, Rotterdam, Sense Publisher, pp. 57-74 (with M. Vaira). “Faltering effects of market driven reform”, in Teixeira, P.N. and D.D. Dill (Eds. ), Public Vices and Private Virtues? Assessing the Effects of Marketization in Higher Education, Rotterdam, Sense Publishers, pp. 327-343(with M. Vaira). “Corpo docente e opinioni dei laureati sull'esperienza universitaria”, in Consorzio interuniversitario Almalaurea (a cura di), XII Profilo dei laureati italiani. L'istruzione universitaria nell'ultimo decennio. All'esordio della European Higher Education Area, Bologna, Il Mulino, pp. 211-244 (con Bonafé, E., Chiesi, A.M. e M. Nardoni). “Introduzione: le università europee in trasformazione”, in Moscati R., Regini M. e Rostan M. (a cura di), Torri d'avorio in frantumi? Dove vanno le università europee, Il Mulino, Bologna, pp. 13- 29 (con R. Moscati). “Politiche per l’eccellenza e ristrutturazione dei sistemi di istruzione superiore”, in R. Moscati, M. Regini e M. Rostan (a cura di), Torri d’avorio in frantumi? Dove vanno le università europee, Bologna, Il Mulino, pp. 197-271 (con M. Vaira). Challenges to Academic Freedom: Some Empirical Evidence, “European Review”, Vol. 18, Supplement n. 1, pp. S71–S88. “Teaching and Research in a Changing Environment: The Academic Work in Italy”, in The Changing Academic Profession in International and Quantitative Perspectives: A Focus on Teaching & Research Activities, RIHE International Seminar Reports, n. 15, Research Institute for Higher Education, Hiroshima, pp. 61-85. “Gli spin-off universitari in Italia: un possibile contributo allo sviluppo?”, in Sociologia del Lavoro, n. 118, pp. 55-66 (con M. Vaira). "Higher education professionals facing two decades of reforms in the sector: The case of the Italian academic profession in comparative perspective"; paper, International Conference on “Changes in the Public Administration and the Welfare State: Comparative Perspectives”, Potsdam University, Germany (con Flavio A. Ceravolo & Massimiliano Vaira). "Cause e impatto della crisi. Individui, territori, istituzioni", Convegno nazionale AIS-ELO, Associazione Italiana di Sociologia - Sezione Economia, Lavoro e Organizzazione, chair, sessione "Istruzione e lavoro", Università della Calabria. "Why Have You Crossed The Borders? Social and Economic Forces Shaping International Academic Mobility", paper, 25th CHER Conference on “Higher Education and Social Dynamics”, Session on “Internationalisation & globalisation”, Belgrado (Serbia), (con Flavio A. Ceravolo). "Higher Education and Social Change", EuroHESC Final Conference, European Science Foundation, Berlin (Germania), discussant, Session on "The academic profession". "The Internationalization of the Academy", paper, International Conference on “Changing Conditions and Changing Approaches of Academic Work”, International Centre for Higher Education Research - Kassel, Federal Ministry of Education and esearch, Berlin (Germania). “International academic mobility: A Global Perspective on Scholars”, Paper, International Workshop on the Changing Academic Profession, Huazhong University of Science & Technology, Wuhan (China). “Aspects of the Global Academic Profession: The International Mobility of Scholars”, Lecture, Seminar for Graduate Students “Comparison and Contrast of the International Academic Profession”, Institute of Higher Education, East China Normal University, Shanghai (China). “Terza missione, dialettica territoriale e nuove competenze”, Presentazione, Convegno nazionale “L’università che vorremmo: otto tesi per cambiare”, Università degli Studi di Camerino, Camerino. “Presentation of Empirical Findings on Employability and Mobility of Bachelor Graduates in Europe: France and Italy”, Chair, International Conference “Employability and Mobility of Bachelor Graduates in Europe”, International Centre for Higher Education Research – Kassel University, German Federal Ministry of Education and Research (BMBF) & German Rectors' Conference (HRK), Berlin (Germany). “Higher Education and Economic Development in Africa: Some Comments from a Distance”, Presentation, Workshop, “Higher Education and Economic Development in Africa: Report Back from HERANA (Higher Education Research and Advocacy Network in Africa)”, Franschhoek, Cape Town (South Africa). “Aspects of Academic Profession’s Internationalisation Beyond Physical Mobility: Teaching, Research and Dissemination Activities”, Paper, 23rd Annual CHER Conference, “Effects of Higher Education Reforms”, University of Oslo (Norway); and Chair “Academic Profession: CAP - The Academic Profession and Research”; “Governance of HE: Governance Reforms”. “I docenti universitari e la riforma del 3 + 2”, Paper, Convegno “L'istruzione universitaria nell'ultimo decennio. All'esordio della European Higher Education Area”, Almalaurea, Università degli Studi di Bologna. “Teaching and Research in a Changing Environment: The Academic Work in Italy”, Paper, International Conference, “The Changing Academic Profession in International and Quantitative Perspectives: A Focus on Teaching & Research Activities”, Research Institute for Higher Education, Hiroshima University & Research Institute for Higher Education, Hijiyama University, Hiroshima (Japan).